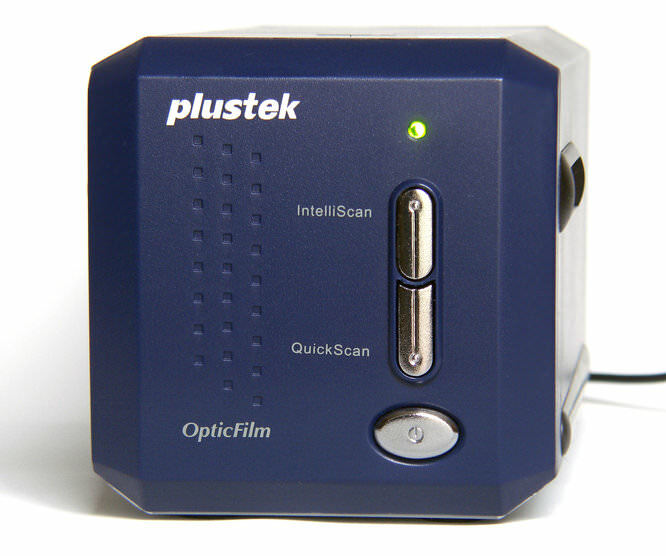 Plustek Opticfilm 8100: Click on the thumbnail for a larger image. 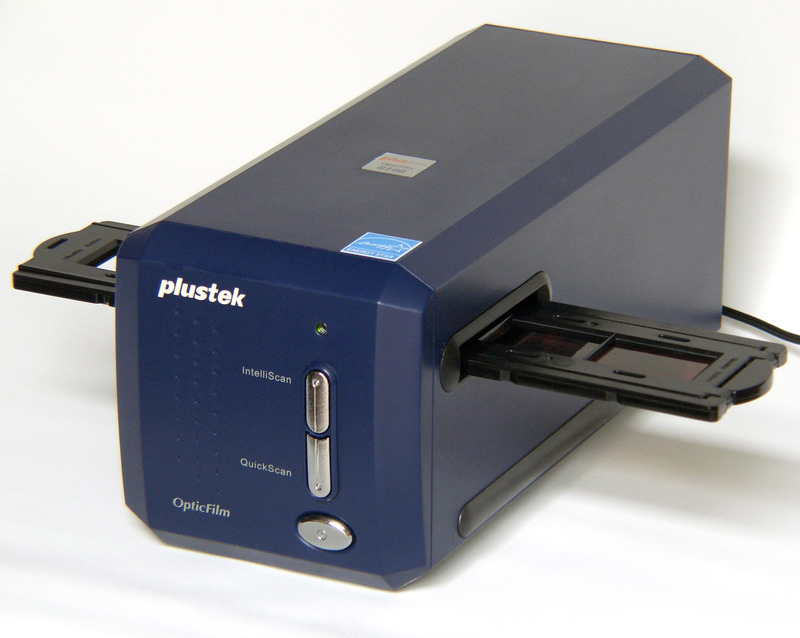 Plustek's latest film scanner is a mid-range model that costs around £200 offering resolutions of up to 7200dpi, an improved Dmax of 3.6, multy exposure support and advanced energy saving features. 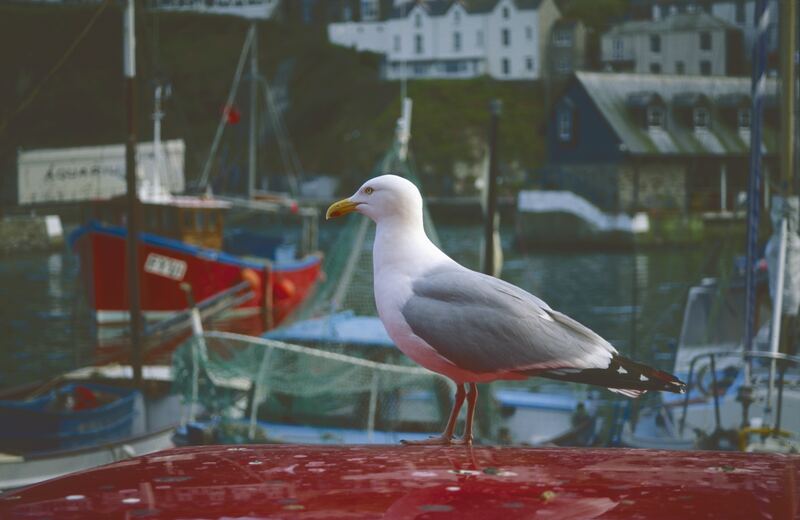 Plustek report improved functionality and features to perform better than ever, but are they enough to tempt you? Everything you need is in the box, down to a padded carry case for safe transportation. There is the scanner, a 1.5metre USB cable, slide and negative holders, mains adapter, two manuals and two CDs. One CD contains Presto! PageManager and drivers the other Silverfast SE Plus 8 scanning software. It has to be noted that Presto! does not operate on a Mac. 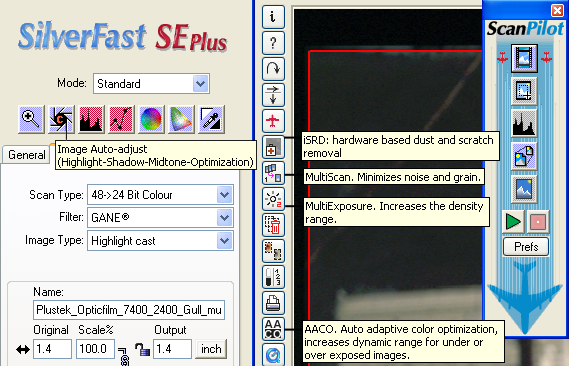 Silverfast SE Plus 8 offers features that will be useful to both experienced users, and complete novices alike. Enhanced support for Kodachrome transparencies, which are notoriously difficult to scan well, is also included. Unlike the higher end model, there is no infrared dust and scratch removal, though the algorithms that are available on this scanner are fairly capable. I would like to point out that the differences I have found from the Plustek Opticfilm 7400 are the extra .1 Dmax, and a re-modeled SilverFast. 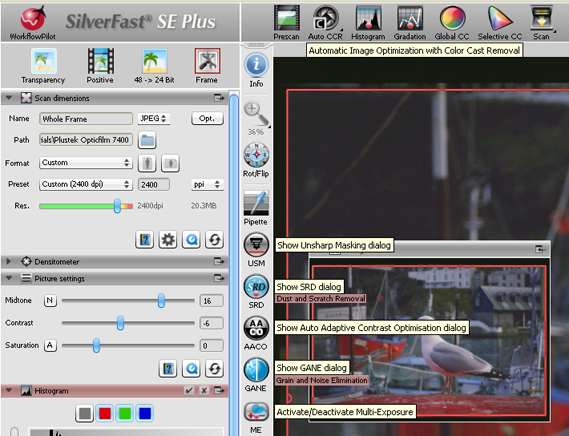 SilverFast 8 has been around since August 2011, and adapted and available for the Plustek Opticfilm range since March 2012. The 8100 was launched with this version of SilverFast in early 2012. I will give most of my attention to the software, given that is where the main changes have taken place. SilverFast was trialed first on a 32 bit XP system straight from the disk. It was also tested on a Windows 7 64 bit laptop. Installing the drivers on both systems did not happen smoothly first time round, and required updating from within device manager. Updates of SilverFast and the drivers were readily available online, and once installed worked well together. Just as with previous Plustek film scanners, the Opticfilm 8100 can scan at a maximum resolution of 7200dpi, producing a 193 megabyte TIFF file. This is a lot of detail, and will probably exceed the requirements of most photographers, (unless AO size reproductions are required). The resolution can be reduced in an effort to improve productivity and save on hard disk space. Scans completed at 2400dpi produce 21.45 megabytes TIFF files. Screen shot of v6.6.1r5 with the pop-outs for the more notable options, also 'ScanPilot' the scanning wizard. With 8.0.1 the multi-scan has been dropped. 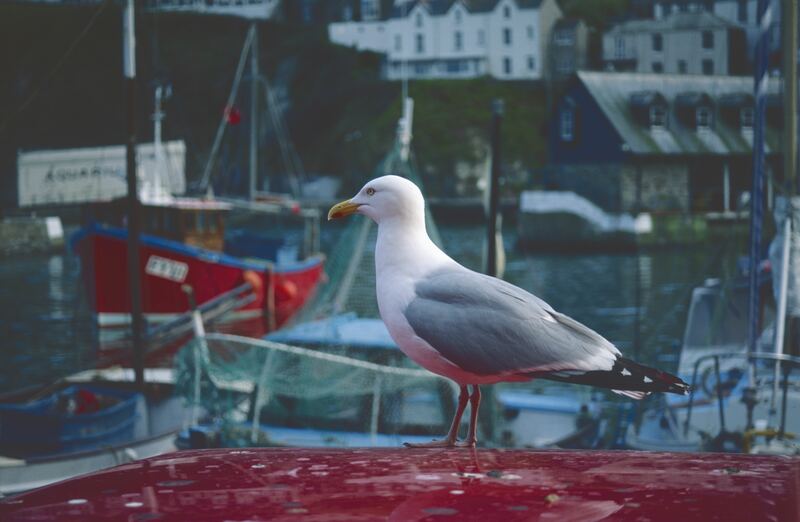 SilverFast comment: 'Multi Sampling is not included in SilverFast 8 because all tests had the result that Multi Exposure is doing the same (not technical but in the scan results, they are better)'. Unsharp Mask has been added. The WorkflowPilot is toggled on with a click on the red icon at top left. 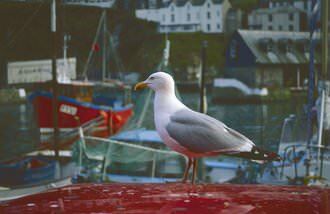 I was not impressed with the product of any of the 'Automatic' features (apart from Multi Exposure) and resorted to custom format and changing the colour management profile (CMS) in 'Edit/preferences/CMS/' and selecting a personally preferred one is straight forward. On SilverFast startup you can revert to factory settings if required from the 'Service Dialog' and selecting 'Software Reset'. The unit itself is constructed from high quality plastics attached to a metal sub-frame. Being only 272 x 120 x 119mm in size, the scanner's footprint is quite small, although you will want to allow extra space either side for the plastic film carriers to slide through the scanner. Three buttons are provided on the front of the unit. Holders are loaded straight through the scanner from the either side. Negatives are easy to align in the film holder and can hold up to 6 frames. 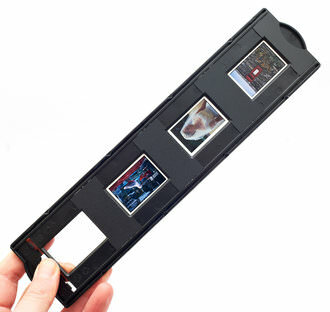 Mounted slides clip firmly into place on the slide carrier and holds up to 4 slides. 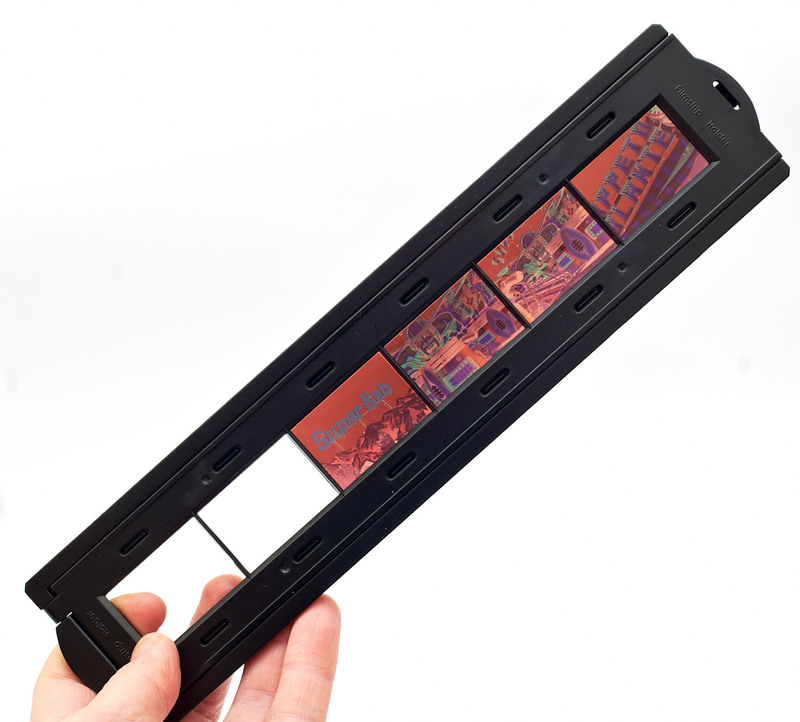 Mounted slides clip firmly into place and negatives are easy to align. 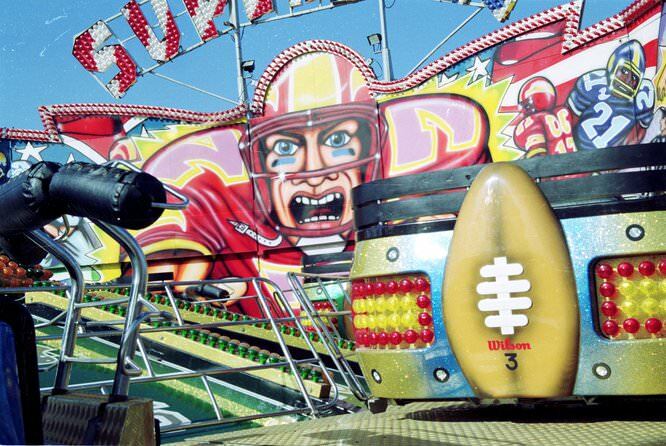 The carriers load into the side of the machine, and are pushed straight through. The issue with the holders being a little loose in the scanner, making individual frame allignment difficult has not been resolved, and still requires a little fiddling. There are three buttons are on the front of the unit, power which completely cuts power from the unit, Intelliscan which when pressed launches Silverfast, and QuickScan which does an automatic scan in conjunction with presto! pagemanager (though not on a Mac as I understand). There is zero warm up time once the unit is switched on and you can begin scanning as soon as the supporting software is launched. Plustek Opticfilm 8100: Dynamic Range (Histogram) Slide VS Negative. 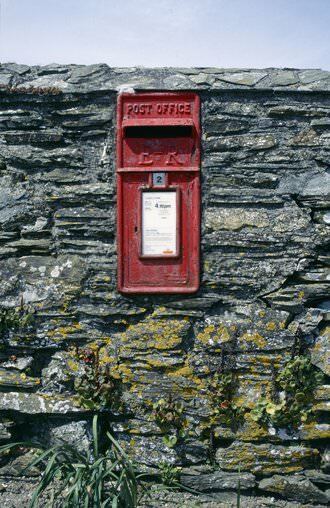 Dynamic range of Post Box slide. 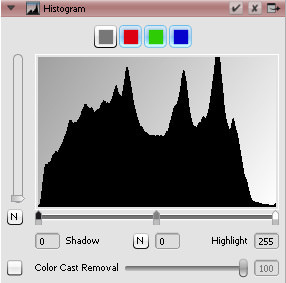 Dynamic range of colour negative. 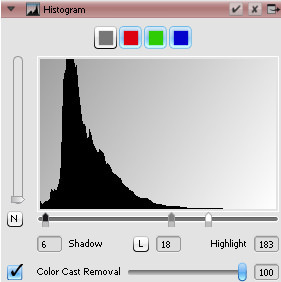 In these histograms it is seen that the tonal range of the slide is far smaller than that of the colour negative and suggests that the 3.6 Dmax would cover it. 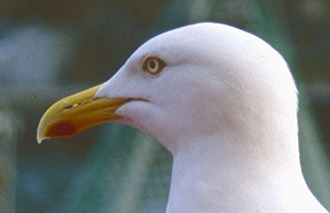 Dynamic range 8100 for gull slide after Auto CCR. Dynamic range 7400 for gull slide after Auto CCR. 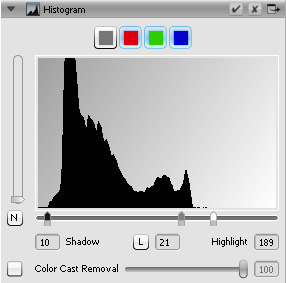 In these histograms it is seen that the tonal range of the 7400 is smaller than that of the 8100 and show the highlight and shadow values as defined by Auto CCR. Multi-exposure is toggled to either on or off, and does not appear to have any user settings. Silverfast SE Plus 8 combines two scans which are automatically merged to produce an image with a higher dynamic range revealing more detail in bright and dark areas. The differences are subtle, but are affirmed by the resulting larger file with ME on. The SilverFast software was returned to factory settings when switching scanners. 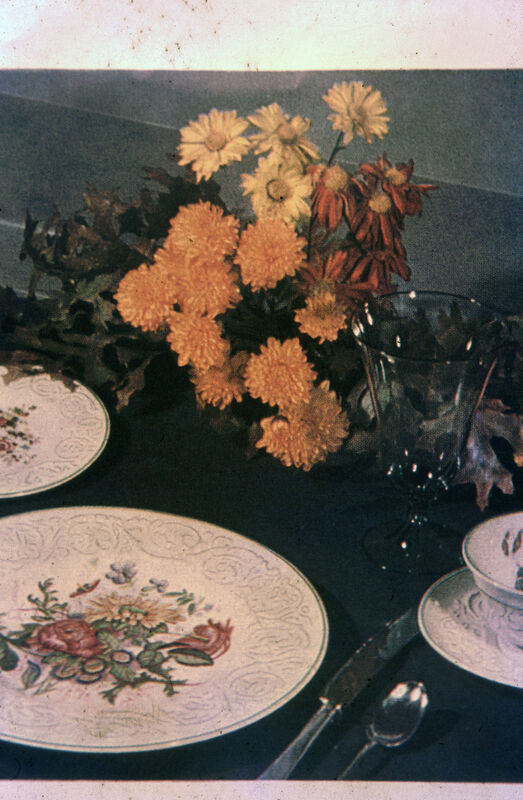 These crops are from the full frame scans above. The 8100 scans certainly look to have more punch, particularly in the dark areas. The difference in colour cast between the two scanners is more noticeable than between ME being on or off. A pre scan still takes 14.89 seconds and a full scan at 7200dpi is completed in over four minutes though will take considerably longer if additional processing has been selected. Performance will depend on the capabilities of your system, and personal preference and available image software will determine your work flow. Reducing the resolution not only results in smaller file sizes, but dramatically improves scan speeds. Scanning at 2400dpi only takes one minute and 28 seconds. The scan produced by the Opticfilm 8100 is not quite as sharp as the 7600 or the 7400. 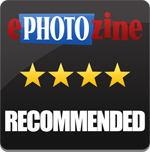 Although both the Minolta Dimage Scan Elite II and the Nikon Coolscan LS-50 are now discontinued, they are a good benchmark for comparative purposes. 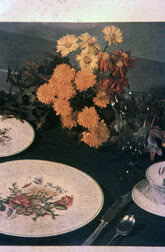 The crops below are taken from scans of the slide to the right. The intensity of the red at the bottom of this image appears a little artificial, and the darker areas could have been a little lighter, overall though not that bad considering only automatic settings were used. 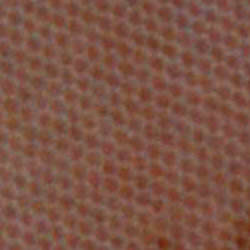 This is a 100% crop of the veil to the left, which shows how much detail can be captured by the scanner at 7200dpi. The netting has been resolved though there appears to be slight chromatic aberrations. 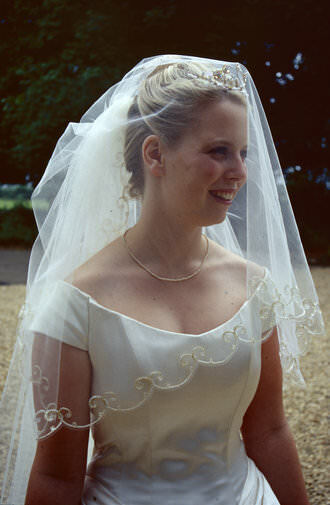 This scan of the bride shows a pleasing skin tone, with good detail retained in the highlights of the white dress and the darker areas of the image. 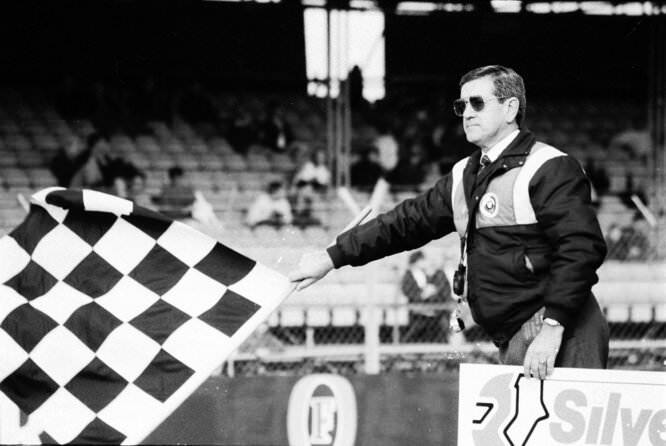 A decent range of tones are captured when scanning black and white negatives. Plustek OpticFilm 8100 Brochure 3600 - The white is cleaner, the red is considerably more intense than the original. Reflecta Proscan 7200 Brochure As Is - Both images scanned at 3600dpi. The Auto settings on the 8100 produce a cleaner white, but the 3.8 Dmax of the Reflecta reveals the wine glass better. With this scanner Plustek have made subtle improvements, to possibly consolidate their position and keep up with software developments. If the automatic setting haven't produced the expected results, fine tuning may be achieved with the wide choice of colour correcting options. Costing around £200 it's pretty good value for the quality it produces. The Reflecta Proscan 7200 is the contemporary competition, though with less resolution and a heftier price tag but with infrared noise reduction. Plustek and Reflecta are fortunately still developing true high resolution scanners for the dedicated amateur, but one day I hope they will produce one for the other negative formats that people want to digitise. I would also like to see batch scanners making their appearance again, in the vain of the legendary Nikon Coolscan range. 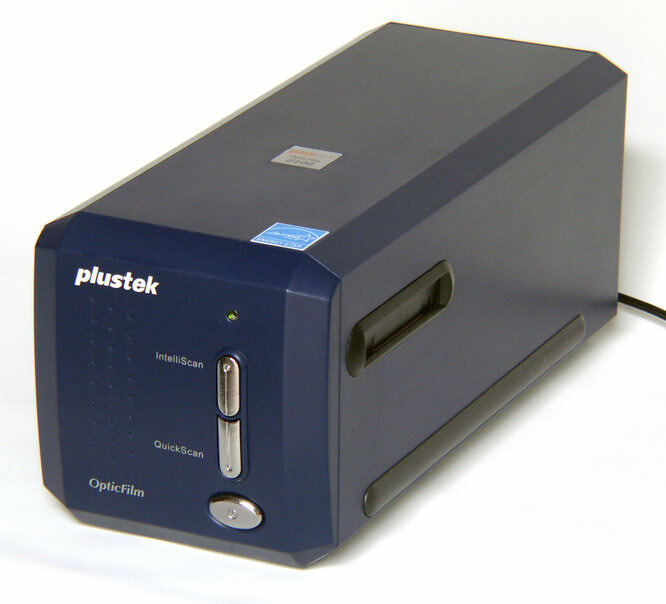 The Plustek Opticfilm 8100 offers good value for money and high resolution scans.